As I walked closer to Wayatinah, two ‘runways’ for the water became clear. 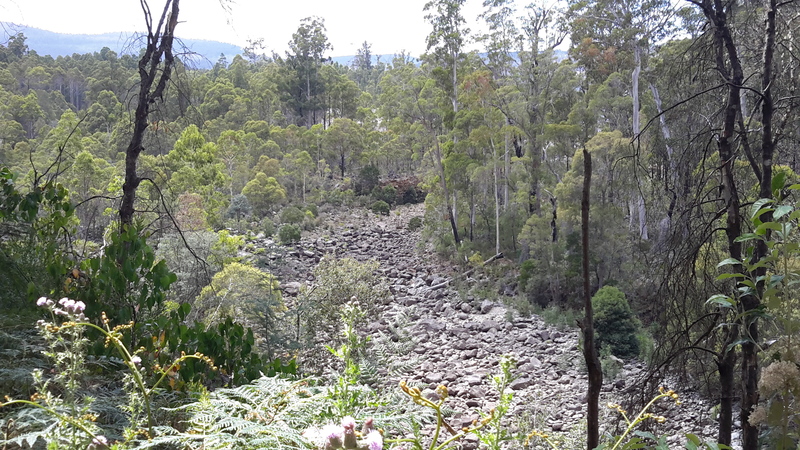 One extended from the Wayatinah Lagoon Dam wall and this was dry. 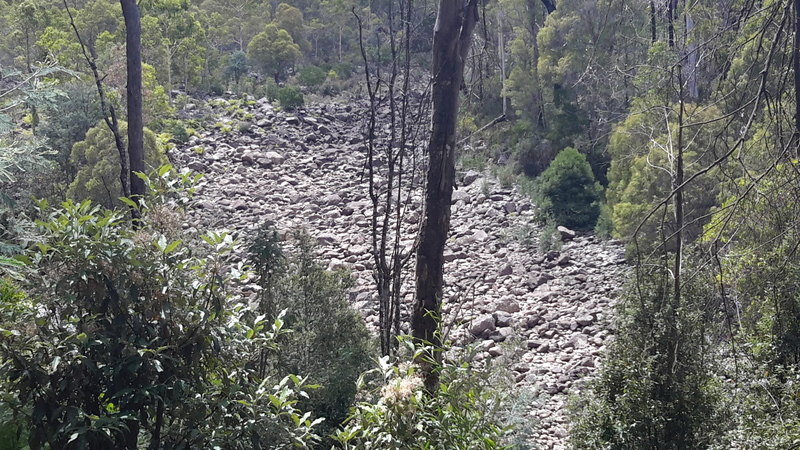 I was glad that last year I had walked around the Lagoon Dam wall and understood how the wide spill-over channel was configured, otherwise seeing the massive dry rocky bed below would not have made sense. Then, at a point, I could see the Wayatinah Lagoon in the middle distance. The other ‘runway’ came from I knew not where and this was the strand which had water flowing along it. 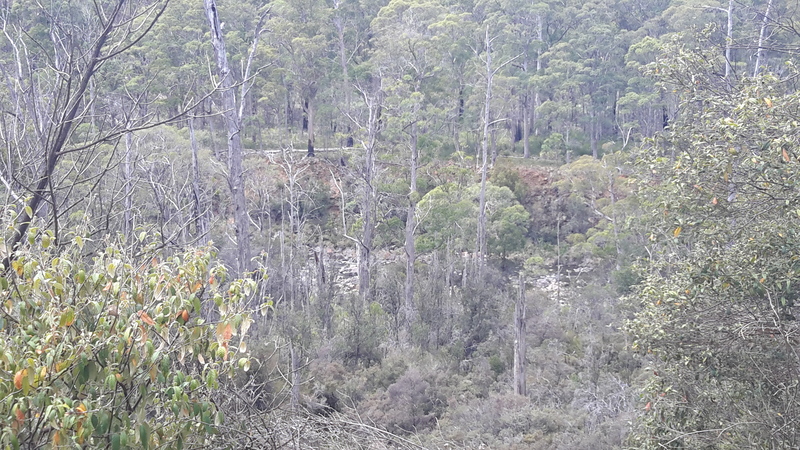 To the left of the dry rocky bed the River ran – and I can see it in the photos below. 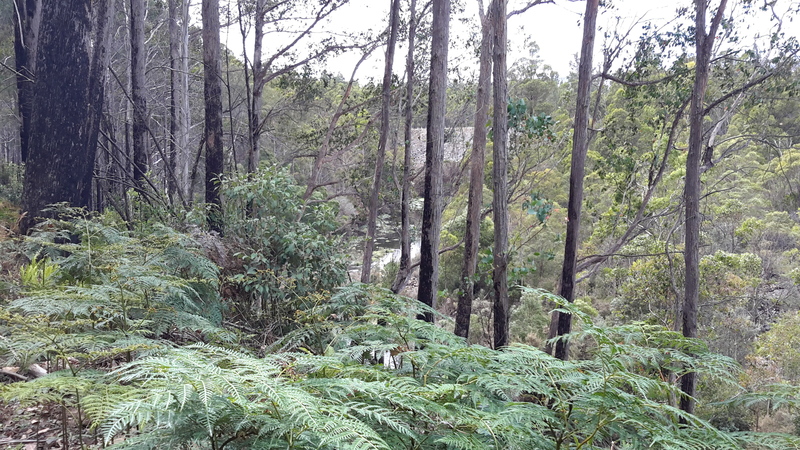 By the time I reached the spot where I took the preceding photograph, it was clear that another dam wall was raised at right angles to the one shown in front of the Lagoon earlier in this post. I imagined that water was being released from the Lagoon at this wall to create the flow. 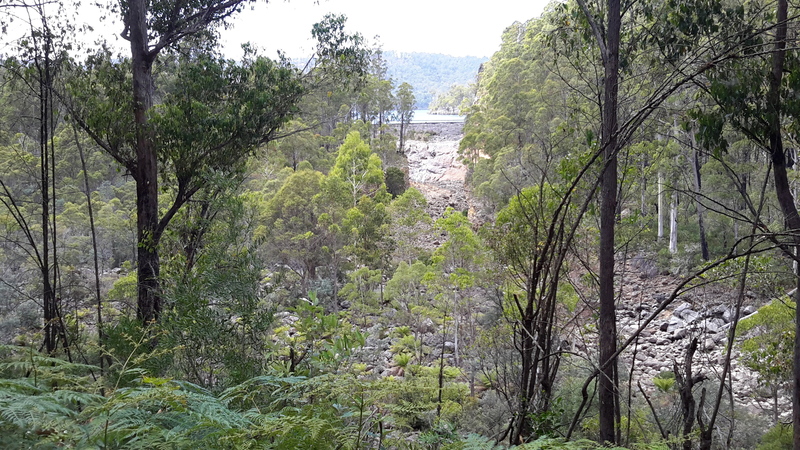 Further walking released more of that dam wall to view. 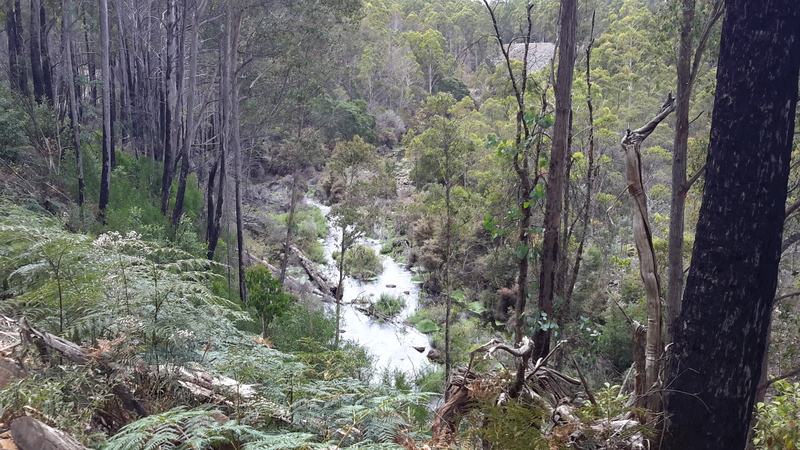 And down below, the Derwent River chuckled along. 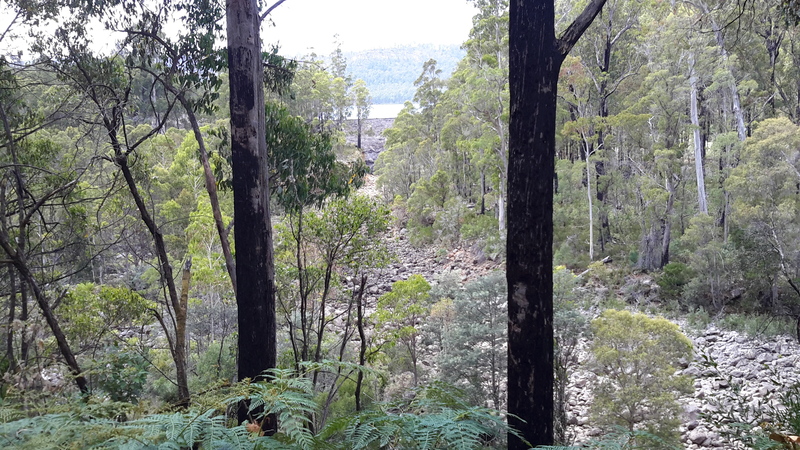 This entry was posted in Derwent River, Tasmania, Walking and tagged Derwent River, Wayatinah, Wayatinah Lagoon, Wayatinah Lagoon Dam on January 31, 2016 by Tasmanian traveller. This is spectacular. 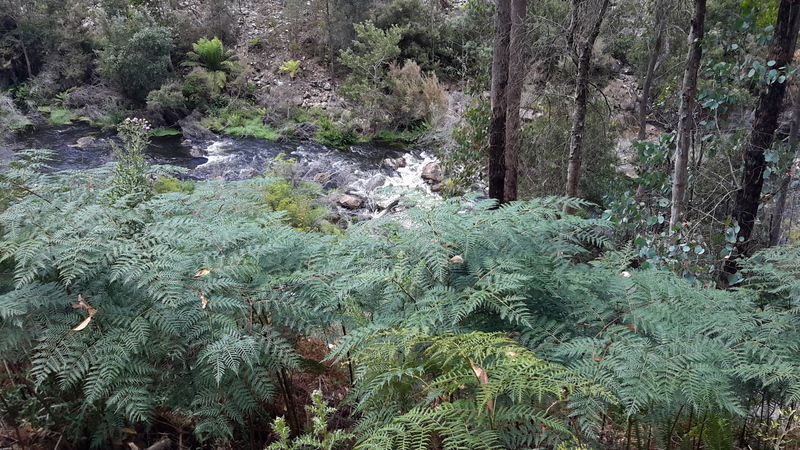 The ferns are really beautiful. We do have them (ferns) in Canada, but they are quite small in comparison. These remind me of the ferns I remember when I was newly married and tramping with my wife in New Zealand. 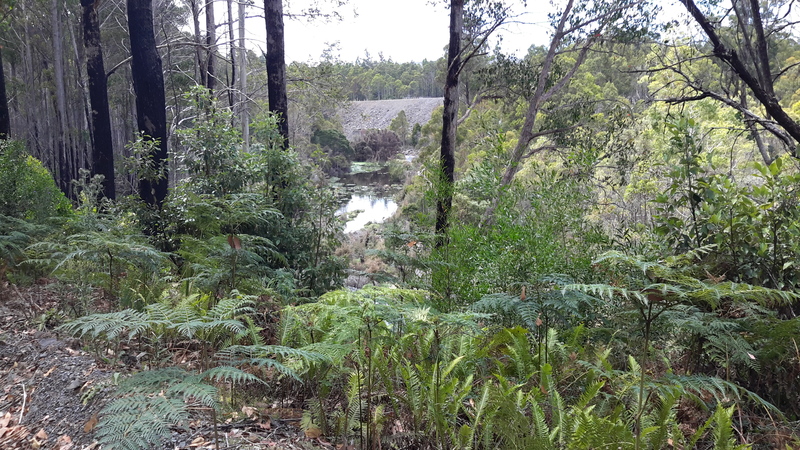 The dams remind me of a previous post of yours of how we have all come to depend on electricity. 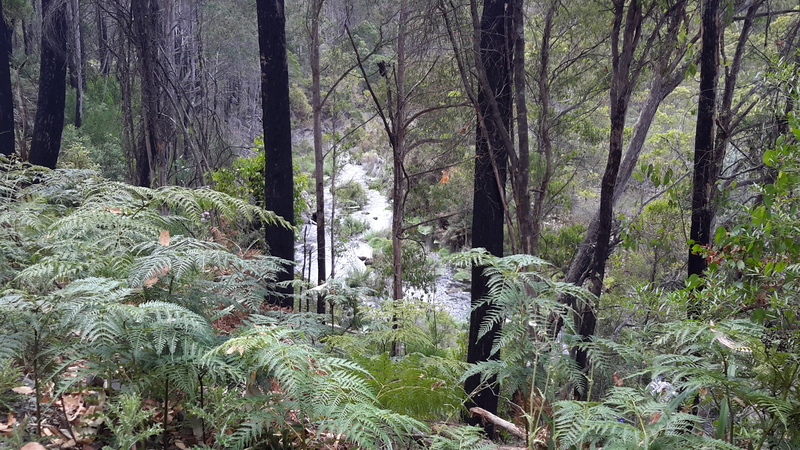 But despite the dams here, it is really cool that this section of the Derwent still retains a fair wildness and the looks like the appearance of a lot of native flora. That’s what I like about blogs – they return memories and associations and so, in reading and looking at the writings of others, it can really lift your day. 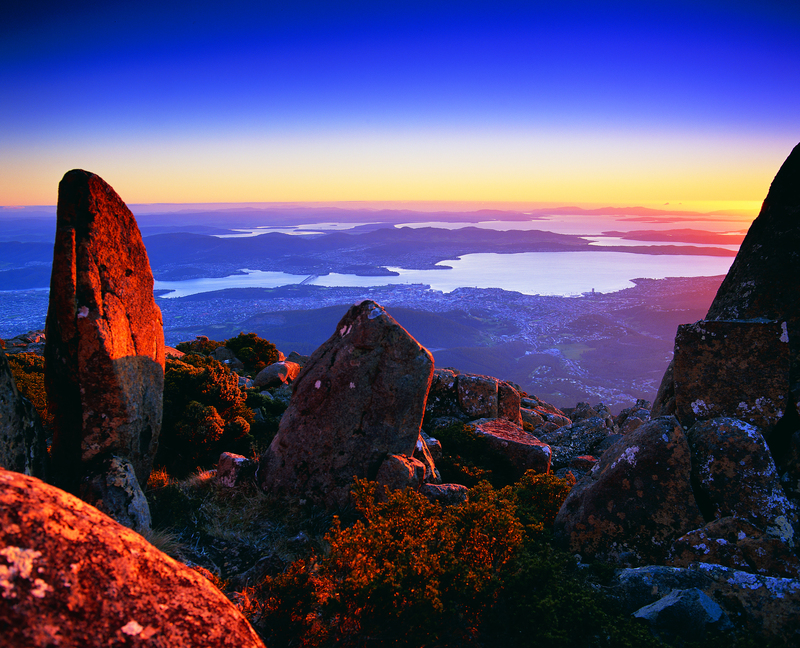 I am so glad that I started this blog for so many reasons – I have discovered and rediscovered many beautiful places in Tasmania and around the world as the result. Thank you so much for this link. 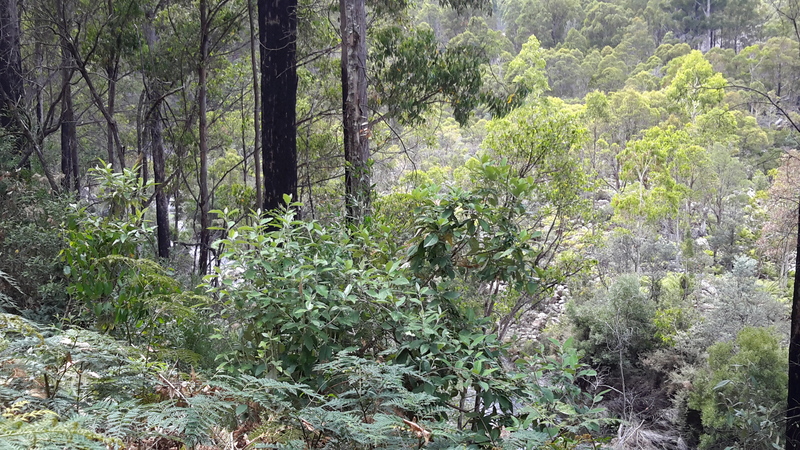 I have never heard the term bracken before, and as the article mentions it is a native plant of Tasmania. It does sound very intrusive. I love the fact that in blogging we learn from each other. I remember the competition you had to spot something dangerous in a photo – something we don’t have here. All of this adds another layer of richness to our lives.